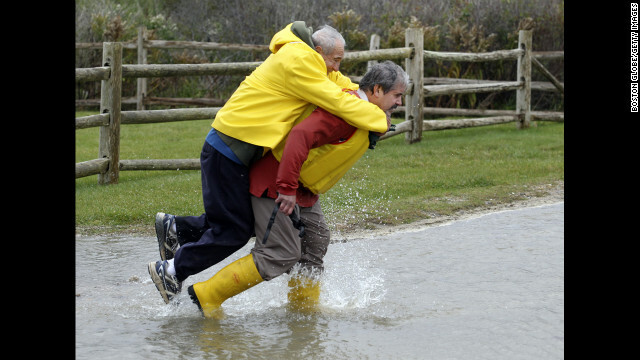 (CNN) — Though no longer a hurricane, “post-tropical” superstorm Sandy packed a hurricane-sized punch as it slammed into the Jersey Shore on Monday, killing at least 11 people from West Virginia to North Carolina and Connecticut. 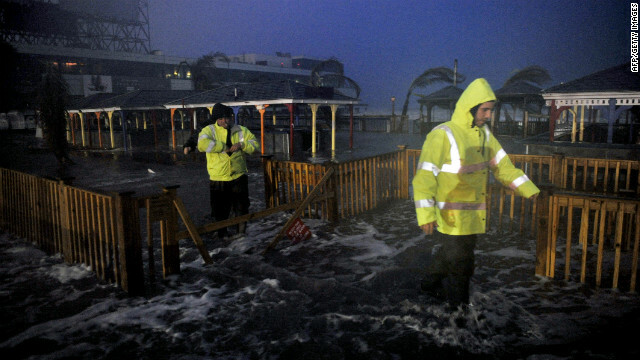 Sandy whipped torrents of water over the streets of Atlantic City, stretching for blocks inland and ripping up part of the vacation spot’s fabled boardwalk. 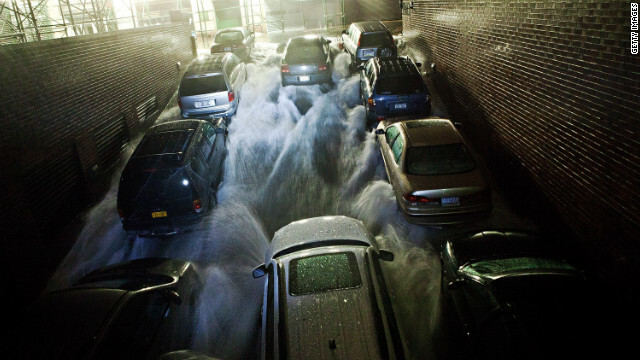 The storm surge set records in Lower Manhattan, where flooded substations caused a widespread power outage. It swamped beachfronts on both sides of Long Island Sound and delivered hurricane-force winds from Virginia to Cape Cod as it came ashore. 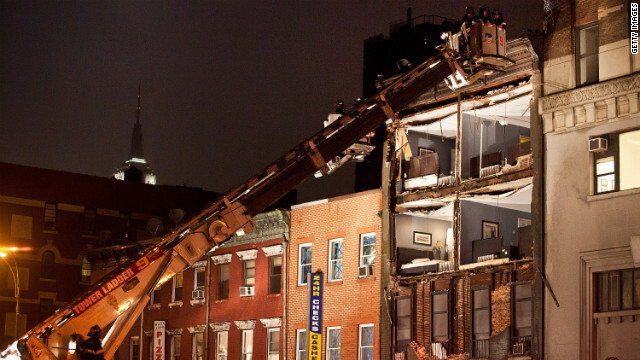 Sandy’s wrath also prompted the evacuation of about 200 patients at NYU Langone Medical Center. “We are having intermittent telephone access issues, and for this reason the receiving hospital will notify the families of their arrival,” spokeswoman Lisa Greiner said. In addition, the basement of New York’s Bellevue Hospital Center flooded, and the hospital was running off of emergency backup power. Ian Michaels of the Office of Emergency Management said the main priority is to help secure additional power and obtain additional fuel and pumps for the hospital. Dahm’s family cleared out of Atlantic City before the storm hit, but he says he stayed put to serve emergency personnel. At nightfall Monday, he said the water was lapping at the steps of his restaurant, where a generator was keeping the lights on. “When Mother Nature sends her wrath your way, we’re at her mercy, and so all we can do is stay prayerful and do the best that we can,” Langford said. In New York, lower Manhattan’s Battery Park recorded nearly 14-foot tide, smashing a record set by 1960’s Hurricane Donna by more than 3 feet. The city had already halted service on its bus and train lines, closing schools and ordering about 400,000 people out of their homes in low-lying areas of Manhattan and elsewhere. 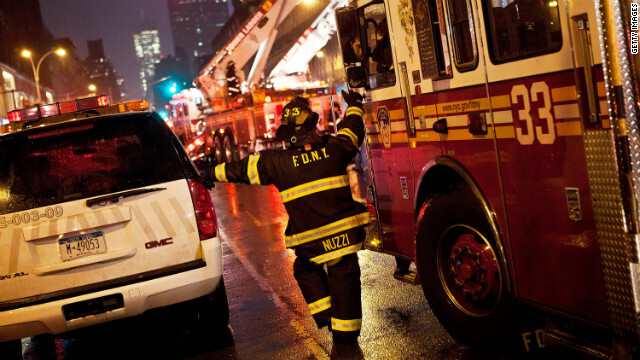 New York Mayor Michael Bloomberg told reporters there was an “extraordinary” amount of water in Lower Manhattan, as well as downed trees throughout the city and widespread power outages. 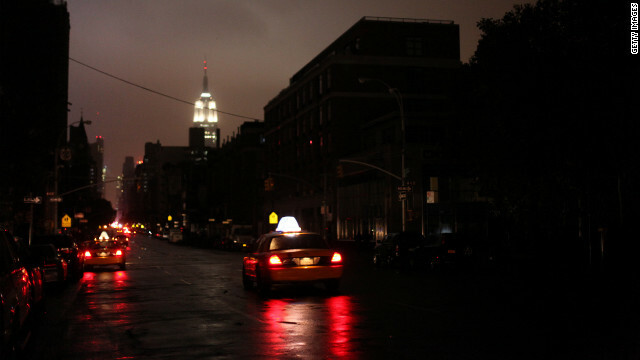 But as water crept into its substations, Con Ed said it had lost service to about 250,000 customers in Manhattan — including most of the island south of 39th Street. In West Virginia, a woman was killed in a car accident after the storm dumped 5 inches of snow on the town of Davis, said Amy Shuler Goodwin, a spokeswoman for Gov. Earl Ray Tomblin’s office. And before hitting land, it overwhelmed the sailing ship HMS Bounty, a replica of the historic British vessel, off North Carolina. Fourteen of the ship’s crew of 16 were rescued, but the body of one deckhand was found Monday evening and the ship’s captain was still missing Monday night, the Coast Guard said. Sandy’s storm surges were boosted by a full moon, which already brings the highest tides of the month. And forecasters said the storm was likely to collide with a cold front and spawn a superstorm that could generate flash floods and snowstorms. Mass transit shut down across the densely populated Northeast, landmarks stood empty and schools and government offices were closed. The National Grid, which provides power to millions of customers, said 60 million people could be affected before it’s over. 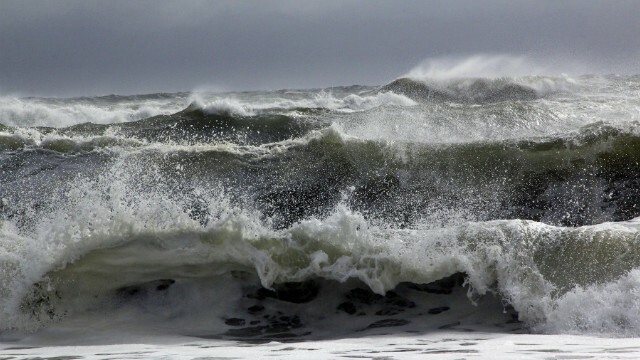 Based on pressure readings, it’s likely to be the strongest storm to make landfall north of Cape Hatteras, North Carolina, CNN senior meteorologist Dave Hennen said. The benchmark storm, the 1938 “Long Island Express” Hurricane, contained a low pressure reading of 946 millibars; Sandy had a minimum pressure of 943 millibars. Generally speaking, the lower the pressure, the stronger the storm. In Sea Bright, New Jersey, Yvette Cafaro scrawled a plea on the plywood that covered her burger restaurant: “Be kind to us Sandy.” The seaside area largely dodged last year’s Hurricane Irene, but Cafaro was not optimistic that Sea Bright would be spared Sandy. And in Ohio, Romney asked supporters to drop off items and cash at his “victory centers” to be donated to victims of the storm. “There are families in harm’s way that will be hurt — either in their possessions or perhaps in something more severe,” Romney said. By Monday afternoon, 23 states were under a warning or advisory for wind related to Sandy. Thousands of flights had been canceled, and hundreds of roads and highways were expected to flood. 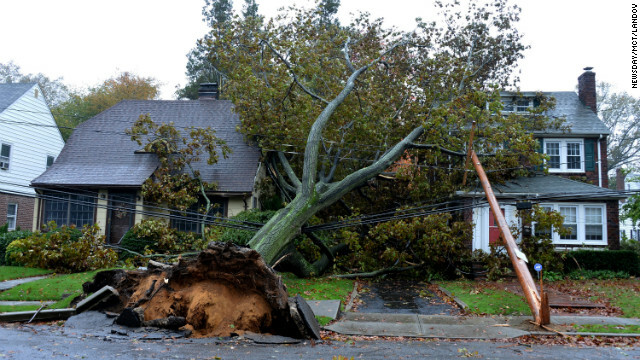 And according to a government model, Sandy’s wind damage alone could cause more than $7 billion in economic loss. Good luck to the Americans ! Have a Look at the destructions caused by sandy….. This entry was posted in Current Afairs, Uncategorized and tagged 11 killed, america, destruction, killed by sandy, sandy, sandy hurricane, years.